Melis has lived and worked in Alaska for 17 years enjoying a career on snow and glaciers as a climbing ranger for Denali National Park, senior guide for the Alaska Mountaineering School and a field instructor for the National Outdoor Leadership School. She has completed Avalanche Level 2 training, and has skied/climbed on 7 continents including two seasons as a field guide for Antarctic Logistics and Expeditions. A dedicated educator, Melis has spent over a decade certifying students in emergency medicine as a wilderness medicine instructor for the Wilderness Medicine Institute and as a climbing instructor navigating avalanche terrain. On the board of two non-profits, Denali Rescue Volunteers and the Ritt Kellogg Memorial Fund, Melis shares her deep dedication to safety in the outdoors with a broad audience. She looks forward to helping AAS continue to be a leader in avalanche education. Anitra grew up in interior Alaska dog mushing and taking turns towing snowboards behind snow machines. She attended UAS in Juneau and almost immediately joined the four year outdoor studies program where she took AV 1 and 2 and for two years was the teaching assistant for a variety of classes from Sea Kayaking to Mountaineering. She spent last winter helping out at the Avalanche School and looks forward to doing more this year. The rest of the year she can be found in Kodiak commercial fishing and enjoys traveling and powder skiing. Nikki grew up spending her winters alpine ski racing throughout the hills of Michigan, and escaping on family ski vacations to the Rocky Mountains. After high school Nikki headed west and received a Civil Engineering degree from Montana State University, while doing research in both snow mechanics and dynamics. As well as working as a research assistant in the sub-zero science and engineering lab, during her time in Bozeman she worked as an educator and instructor for the Friends of the Gallatin National Forest Avalanche Center, a guide and avalanche instructor for Beartooth Mountain Guides, and trip coordinator for Montana State University Outdoor Rec Center. Brian has called Alaska home since 2010. Graduating from Alaska Pacific University launched his career as an outdoor professional. Brian lives to work and play in the snow! He is excited to be in his 7th season as Ski Patroller at Alyeska Resort in Girdwood. In the summer months, he guides Denali trips for Mountain Trip. Last winter he worked for the United States Antarctic Program as a field safety coordinator based out of McMurdo Station. Brian has a Wilderness EMT and completed his Avalanche Level 3 with American Avalanche Institute. A long time Alaskan resident, Brooke Edwards has been involved with the ski industry on multiple levels for going on two decades. She first received her Avalanche Level 1 certification from the Alaska Avalanche School in 1997 in Hatcher’s Pass and it was that course that made her decision to move to Alaska fulltime. Since then she has been engaged in the avalanche community as a board member for F-CNFAIC, an avalanche observer, a NOLS instructor, a ski instructor at Alyeska Resort and working as an avalanche forecaster/guide in Japan. This is her Fifth Season as an Avalanche Educator for The Alaska Avalanche School. Eeva is Associate Professor in Outdoor Studies at Alaska Pacific University and part time avalanche educator with Alaska Avalanche School. Born and raised in Finland, she has called AK home for the last 10 years. Before moving up north, she sampled other mountain regions in North America. This included skiing Mount Baker during the record snow in season ‘94-‘95, ski patrolling in Colorado for five years and teaching mountaineering courses in the North Cascades & the Coast Range. 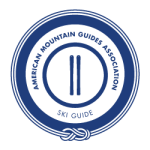 Eeva teaches Level 1 & 2 courses for AAS and would love to travel around Alaska to teach more custom courses. With all the spare time, she trains her operational avalanche rescue dog, Sisu, and drinks strong coffee. Elliot grew up in the Adirondack Mountains of upstate New York. His family encouraged his love of being in the outdoors from a early age, taking him on many family death-marches, which probably explains why he likes going alpine climbing so much nowadays. He graduated from Green Mountain College with an Adventure Recreation degree, and moved to New Hampshire to pursue climbing and a guiding career. Elliot started guiding on Denali in 2007, and in 2014 finally made the move up to Alaska full time, lured up by the promise of un-ending powder skiing and the love of a beautiful lady (his future wife). Now he spends his free time enjoying the climbing and skiing Alaska has to offer and traveling to pursue these passions and his profession. He is currently working on obtaining his IFMGA certification. Along with the Alaska Avalanche School, he also guides for the Alaska Mountaineering School and Exum Mountain Guides. Fredrik grew up in Sweden, where he started leading groups in the outdoors at 17 years old. He initially came to the USA in 1998, where he earned his MS in chemistry at Utah State University. In his spare time, he volunteered for the university’s Outdoor Program, leading trips and teaching courses in backpacking, mountaineering, and climbing rescue skills. He was also involved with Logan Avalanche Forecast Center providing backcountry observations. Since 1995, Fredrik has worked full-time in outdoor education, spending over 2500 days teaching and leading groups in the outdoors, everything from backpacking in the Utah desert and sea kayaking in New Zealand, to mountaineering in Patagonia and winter camping expeditions. His experience as a teacher was recently summarized by one of his students: "You were by far the best teacher I have ever had—including a lifetime in private school, four years at Harvard, and the rest of NOLS.” When not teaching, Fredrik is pursuing his passion for nature and adventure photography. Growing up in Fairbanks, Forest has a keen appreciation for winter. He has worked in various snowpacks and currently lives in Juneau. George loves skiing. He is from Boise, Idaho where he grew up skiing and competing in freestyle at his local ski hill, Bogus Basin. After high school he moved to Utah to pursue a college degree and continue his focus on competitive skiing. He earned a spot on the U.S. Ski Team competing internationally for three years while completing his degree in natural resources and recreation planning at the University of Utah. George then moved to Alaska to work for the Forest Service for a summer season and has never left. He now makes his home in Girdwood working with the Forest Service in the summers and as a heliski guide with Chugach Powder Guides in the winter. In the spring he travels to Iceland to continue his ski season, guiding both heliskiing and ski touring. In the summers you will find George traveling around Alaska in his funky RV exploring the outdoors, meeting new people, and enjoying late nights under the midnight sun. Graham was born and raised in Anchorage. He began skiing the Chugach backcountry in high school as a naive, uneducated teenager. He migrated to the Vail Valley after receiving a natural resource management degree from CSU spending eight seasons working in Colorado as a USFS backcountry snow ranger on Vail Pass. During this tenure, Graham absorbed all the information he could regarding snow and avalanches through formal classes, practical experiences and a few near misses. Working as a forecaster for CNFAIC since 2011 has allowed his snow and avalanche education to continue, bringing Graham full circle back to a more coastal snowpack. He is a Professional Member of the American Avalanche Association and AVPRO trained. A personal goal for Graham has been to further involve and engage the motorized community in the Alaska snow and avalanche scene thru his work at the CNFAIC and the Alaska Avalanche School. Spare time is spent sled-skiing, mountain biking and exploring southcentral Alaska with his young kids, ages 3 and 6. Born and raised Alaskan began riding at a young age at parents cabin. There he developed a love for snowmachines and exploring the backcountry. After 6 years in the Marine Corps Ross returned to Alaska and riding. After experiencing some close calls and being on an avalanche recovery, Ross decided to take avalanche awareness and training more seriously. He hopes to share his knowledge and love of the outdoors with others. Originally from Minnesota, Jake spent much of his childhood trying to ski, and play outside as much as possible. Jake first came to Alaska to attend Alaska Pacific University. While in college Jake developed a love for ice climbing and backcountry skiing. During the winter, when not working for the Alaska Avalanche School, Jake works at his alma mater Alaska Pacific University teaching winter travel skills. In the summer, you can find Jake exploring different parts of the Alaska Range, leading courses and guiding on Denali. When Jake’s not in the mountains he lives in Chickaloon, and spends his time fly fishing and packrafting. Jessie is returning to AAS to teach for her third season. This winter she is also working as the winter caretaker for Independence Mine State Park and as an observer for Hatcher Pass Avalanche Center. She has been a passionate board member for Hatcher Pass Avalanche Center the last three years. In her free time she works to hone her snowmachine skills. Last season she worked as the intern for Chugach National Forest Avalanche Information Center. When there isn’t enough snow to ski, she can be found rambling about in desert canyon country and paddling whitewater. Joe is an internationally certified, IFMGA mountain guide with a passion for mountain adventure in Alaska. He has been climbing and skiing around the world for 30 years with significant time in New Zealand, Australia, Asia, Alps, and throughout South America and the western United States. Of all the places he's visited, the mountains of Southcentral Alaska are his favorite. Joe has an undergraduate degree in geology and geography from the University of Canterbury in New Zealand and a graduate degree in watershed science (snow science focus) from Colorado State University. In addition to guiding, Joe works as a writer and photographer. His guidebook for backcountry skiing in Southcentral Alaska, The Alaska Factor, was published in 2012. Joe is also a photographer and is responsible for many of the images on this site. Please visit his website, Stock Alpine. He lives in Anchorage with his wife Cathy. John is currently working on a masters degree in snow science at Montana State University in the Department of Earth Science. His research focuses on modeling the travel behavior and decision-making of backcountry skiers using GPS tracks and survey responses. During the summers John works as a mountaineering and wildness backpacking guide for Alaska Mountaineering School and Alaska Alpine Adventures. Outside of guiding, John enjoys taking long walks in the mountains (preferably with skis on his feet), with heavy packs and high uncertainty of success. Karsen grew up in Bozeman, Montana. She was first lured into the mountains by her mother who incentivized the experience with pockets full of jellybeans. Thus began a deep and abiding appreciation for steep, snowy places and an unfortunate sweet tooth. She now works as a full time pro patroller for Alyeska resort, starting avalanches and splinting knees. The other half of the year, Karsen works as a wildland fire medic and raft guide. Kyle will be returning to teach with the Alaska Avalanche School for his second season. He was born and raised in Rochester, NY and learned to ski on the icy slopes in the Finger Lakes. He moved to Salt Lake City to study meteorology at the University of Utah and ended up falling in love with backcountry skiing and snow and avalanche science in the Wasatch Mountains. After graduating, Kyle commissioned in the Air Force as a Weather Officer with assignments in Germany, North Carolina, Alaska, and Kyrgyzstan. After serving in the Air Force for over 6 years, Kyle decided to go after his passion and separated from active duty to pursue a graduate degree in Snow Science in the Snow and Avalanche Lab at Montana State University. Post grad school, Kyle worked as an avalanche forecaster in Glacier National Park for the spring opening of the Going to the Sun Road. He also worked for the Forest Service in the Sierra Mountains as an avalanche forecaster for the Bridgeport Avalanche Center, where he spent more time on a snow machine than skis. Currently, Kyle is a meteorologist with the National Weather Service Anchorage office and serves as the Avalanche Program Lead. Mik skied the slopes of Minnesota, usually being pulled behind a snow machine, until she moved to Colorado where she traded snow machines for chair lifts. Mik currently works as a Park Ranger for the National Park Service where she is the search and rescue and emergency medical coordinator. She has worked as a ski patroller for over a decade beginning at Arapahoe Basin, CO before moving to Alaska where she joined the Alyeska Ski Patrol. 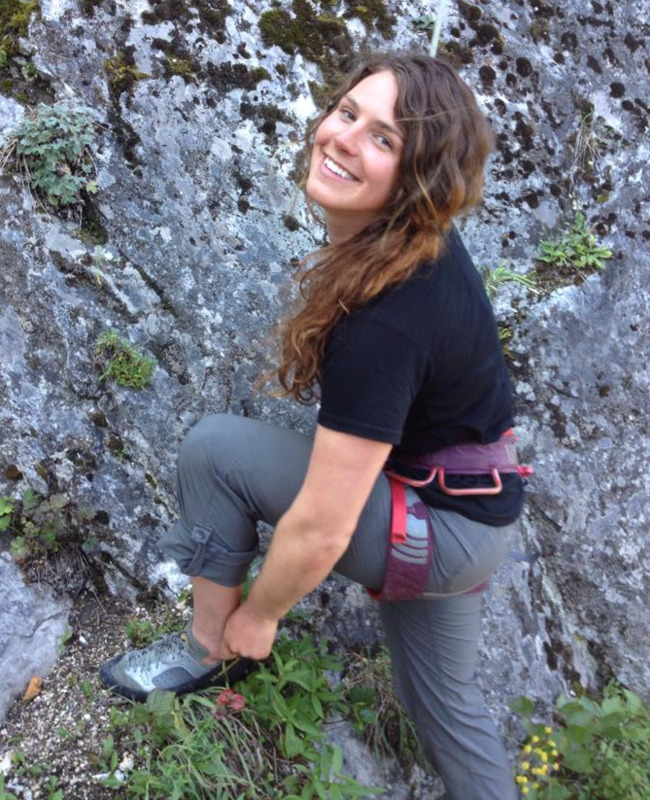 Mik has also been an outdoor educator for the Outward Bound School teaching sea kayaking and glacier mountaineering. Mik recently retired her dog Zooka, together they were a certified avalanche rescue team through Alaska Search and Rescue Dogs. Mik lives in Seward with her husband Mark and baby boy Bowen. Born in Juneau, Alaska Mike has spent most of his working career outside. After several years as a lead guide and Instructor at the Alaska Mountaineering School, Mike transitioned to winter avalanche work and has run the industrial forecasting and avalanche control program for Alaska Electric Light & Power in Juneau since 2010. An American Avalanche Association Certified Instructor and Pro Course Instructor, Mike also loves to teach avalanche courses. He has taught courses for the University of Alaska Southeast, Alaska Avalanche Specialists and Alaska Avalanche School. In addition to being the father of a family of aspiring dirt bags, Mike is also involved with the volunteer rescue group SEADOGS with his dog Otis training for Wilderness and Avalanche Search. Born and raised in New Hampshire, Nick began climbing and skiing mountains as soon as he could walk. Home is now Girdwood, Alaska. He is a graduate of the Outdoor Recreation Leadership program from Colorado Mountain College and Alaska Pacific University’s Outdoor Studies program. Since 2008, Nick has been a year-round mountain guide, ski guide and educator. In the winter and spring, if not teaching Avalanche Courses - Nick guides backcountry ski and snowboard trips with his own company Remarkable Adventures. As well as guides snow cat and heli-skiing with Chugach Powder Guides. During the spring and summers Nick leads ski mountaineering expeditions in the great ranges of Alaska or you may find him living abroad ski guiding in places like New Zealand. Along with his extensive experience in Alaska and abroad, he is an AMGA Certified Ski Guide, Wilderness First Responder, Avalanche Pro 2, A3 Professional Course Instructor and Examiner, and Leave No Trace Master Educator. Nick loves to share his knowledge about safe mountain travel and looks forward to sharing his passion for the mountains with you. Sam will be returning to the Alaska Avalanche School for his third season. Last season he was able to “nerd out” in the snow to his heart's content as an intern with the Chugach National Forest Avalanche Information Center, and is also a member of the Hatcher Pass Avalanche Center Advisory Board. This season he spending lots of time looking at the snow in Hatcher Pass as a caretaker at Independence Mine. He has been traveling in his camper van, “The Chimichanga Chaser” with his wife Jessie, across North America in pursuit of the best skiing, mountain biking, paddling, climbing, canyoneering, and yes, chimichangas since May 2017. Originally from Rochester, NY, Sean grew up playing in the snowy hills of the Finger Lakes. Eventually he wanted more than icy, man-made ski trails and infrequent snowstorms. Alaska Pacific University's Outdoor Recreation program drew Sean to Anchorage but the beautiful mountains, unbelievable snow totals, and warm community kept him around. After graduating with a BA in Outdoor Studies concentrating in Snow Science, Sean moved to Girdwood, seeking a better stage for ritual dances, prayers, and offerings for the snow gods. When he’s not looking for powder, Sean works for the Alaska Mountaineering School as an ice climbing guide and Nova River Runners as a raft guide. Tim taught himself how to ski at 16 because he was tired of walking down Cascade Volcanoes (and its way more fun). At 18 he took his first avalanche class in Central Oregon. Since then he has worked as a guide, professional ski patroller, certified avalanche dog handler, avalanche instructor, and a volunteer with SAR groups. He is currently a Highway Avalanche Specialist. Although he enjoys the summer grind winter will always have his interest. Originally from the Matanuska Valley, Chelsea grew up playing in the Talkeetna and Chugach mountains at every opportunity. Her love for the outdoors landed her in Juneau to complete a certificate in Outdoor Studies through the University of Alaska Southeast. While completing the certificate, she was bamboozled into sticking around and enrolling in an Outdoor Adventure Studies bachelor degree. She called Juneau her home for 5 years, balancing exploration of glaciers, the Coast Mountains and the Tonagass National Forest with academics. During the summer of 2014, Chelsea received an internship at the Alaska Mountaineering School, where she now works as a mountaineering instructor and guide on Denali and the surrounding Alaska Range peaks. The new job transplanted her back to south central Alaska in the spring of 2015. That spring, Chelsea took her Level 2 with Alaska Avalanche School and discovered a new passion for snow science and avalanche education. Chelsea’s first love is skiing but she also enjoys climbing rock or ice, fishing, biking and tasty IPAs. Born and raised in Alaska, Blaine has a long history of playing and working in the outdoors. Blaine started guiding hiking trips in the Talkeetna Mountains and glacier hikes in the Chugach Mountains in 1987 and since then has combined a host of outdoor jobs to make a living. Blaine worked as a mountain guide for 20 years, guiding primarily in the Alaska Range and the Andes. He has also taught mountaineering for the University of Alaska and avalanche safety for Alaska Pacific University. Blaine started with the Alaska Avalanche School under the tutelage of Doug Fesler and Jill Fredston in 1989. After teaching thousands of students about avalanches and decision making in the backcountry, Blaine is more enthusiastic than ever to empower people to safely enjoy the backcountry. Blaine has been published in Accidents in North America, The Canadian Mountain Guides Journal, Lessons Learned II: A Guide to Using Case Studies in Outdoor Education and the International Technical Rescue Symposium Proceedings. Blaine lives with his wife Deb in the mountains outside Eagle River Alaska where he tries to get out skiing every day of the winter. 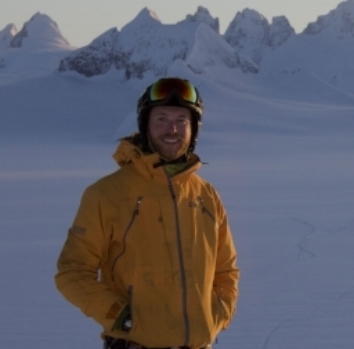 Pat Dryer lives in Juneau, Alaska and is an avid skier and backcountry enthusiast. Originally from Wisconsin, he moved to Juneau and started Ski Patrolling at Eaglecrest Ski Area. During that time Pat has become an avalanche educator for the American Avalanche Association as well as the National Ski Patrol. He also assists with the City of Juneau Urban Avalanche Advisory as a forecaster. Pat has served as the President of Juneau Mountain Rescue for 6 years as well as a Director on the Alaska Search and Rescue Association, Mountain Rescue Association, and the Southeast Alaska Avalanche Center boards. When he is not skiing or patrolling Pat, his wife Jackie and son Oliver can be found boating and exploring Southeast Alaska. I was involved with two avalanche body recoveries in a month’s time as a member of the Vail Mountain Rescue Group in the winter of 1992-1993. At the time, avalanche education was very expensive and many classes emphasized snow science. Myself and three other members of the group thought it would be better to save lives by providing affordable, effective and practical avalanche education. We would rather spend our time educating about avalanches than going on avalanche rescues. We started the Walter Kirch Avalanche Seminars for all backcountry users. The success of the classes lead to them being offered at Colorado Mountain College. In 1996 we offered our first snowmobile specific class. Avalanche 1 was started in 2005 to provide avalanche education to meet the specific needs of snowmobilers. Mary grew up in Juneau, Alaska where she found her love for snow (and rain) at a young age playing in her vast, beautiful backyard. She left for Alaska to receive her undergraduate degree in Earth Science from Boston University and to work outdoor seasonal jobs in the American west. Quickly she realized Alaska was her favorite place on earth so she moved back. Mary has been the Program Coordinator of the Juneau Icefield Research Program and has led day trips to eight-week backpacking, glacier mountaineering, and winter courses for various outdoor education and science non-profits such as the Juneau Icefield Research Program and National Outdoor Leadership School. Gilkey, Mary’s dog, will occasionally be hanging out in the office with Mary as well, but most likely after a 10+ mile run. Feel free to come say hi. Born and raised in Mexico. Kakiko, started rock climbing and mountain climbing in college, came to Alaska for first time in 2005 to climb Denali. That's where the seed was planted. He cultivate that plant during a few years until he moved to Alaska in 2010. Due to his passion for the snowy mountains, he learned to snowboard and to ski, took his Level I, II, and Pro 1 with AAS, and started volunteer with our local Mountain SAR. Now he is harvesting the fruits of the hard work and learning process by enjoying working closer to the mountains, going to the Alaska Range volunteering with Denali NPS or Guiding in Denali. Now he is working behind the scenes of AAS as Program Manager, mixing his engineering skills with mountain passioned people.